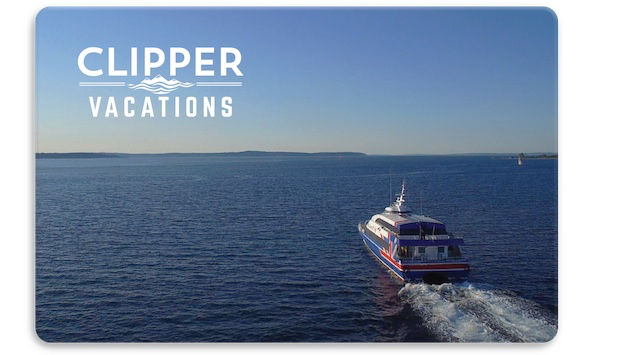 Surprise a friend, family member or loved one with a Clipper Vacations Gift Card good for travel to Victoria, Seattle, Vancouver, the San Juan Islands, Portland, whale watching from Seattle or any other Clipper Vacations product. Not sure how much to give? Take a look at our Clipper Gift Guide for ideas, inspiration and more about what gift suits you best. It's easy to make multiple purchases with a single transaction by adding each to "cart". Actual gift cards are mailed in gift card sleeve, perfect for gift giving. Instant printable cards are available for you to print in .PDF format post-payment. Redeemable at any Clipper Vacations office or ClipperVacations.com or call 800-888-2535. Cards are non-refundable, but never expire. Applicable towards products or services of your choice. 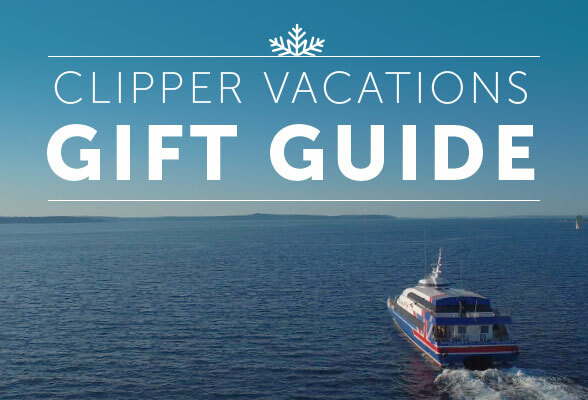 Gift cards may not be used aboard Victoria Clipper vessels. Enter your gift card number below to retrieve your current balance. Copyright © Clipper Navigation, Inc. All information subject to change.